We are interested in young talented professionals who think with new theories and methodologies and who can do things smarter and more sustainable. We have different opportunities available for students and graduates to start an exciting career journey. At Vestas we have dedicated and talented student jobs and internship positions. 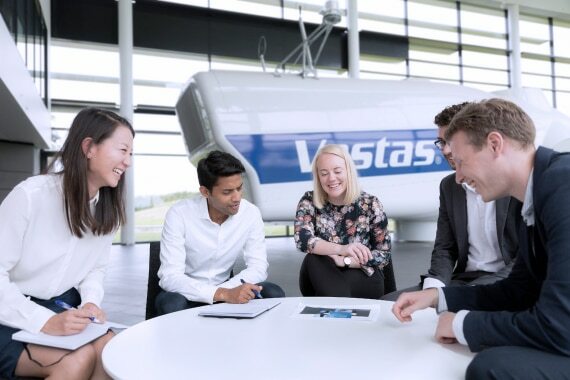 When working as a student worker at Vestas you will be employed in one of our business area where there are a broad-range of academic backgrounds and there we also welcome applicants with different backgrounds. If you are interested in taking your first steps on your career path at Vestas, you are welcome to investigate our student jobs. Our student jobs will be advertised on our job section. You are always welcome to create a profile in our Vestas Career Community, and sign up for a job agent and receive an email when a position matching your criteria become available. Our Graduate Programme is a 2-year international programme where you will have the opportunity to experience working on two different assignments with a progressive increase in challenge and responsibility. 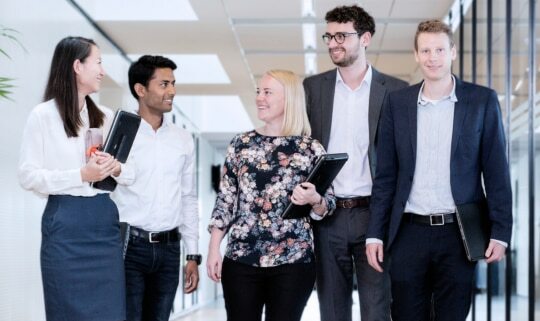 By joining the Graduate Programme and Vestas, you will be part of an ambitious, high-paced and goal-oriented culture with global career opportunities. The positions in the Vestas Graduate Programme are divided into four main tracks each containing two twelve-month assignments. The assignments are designed to develop a specific professional profile matching the long-term needs of competencies at Vestas and to give you as a graduate a clear line of sight for career development. Information about the Graduate Programme? Vestas Graduate Program is divided into 3 main tracks; Technology, Manufacturing/Supply chain, Commercial and Business. Each track consists of various positions spread across the globe. Here is some general information about the 3 main tracks. Technology is the area where the future of sustainable energy solutions come to life. It's also the area where Vestas teams bring new ideas and improvements to existing technologies. In this track you will find an exciting position within Innovation & Concepts. Manufacturing/Supply chain is a combined track of our Production area, Procurement, QSE (Quality, Safety, Environment) and Process Excellence functions. The aim of this track is to ensure a thorough understanding of the production environment and associated areas. Positions within functions such as Regional Procurement, Factory Supply Chain & Logistics together with Production Engineering will guarantee many interesting connections during the two year program. The Commercial & Business track is designed to cater for exposure within our global and regional commercial or business functions. They are mainly found within our Sales, Business Development, HR, Service and Project execution areas. Regardless of function or part of the world – commercial or business focus is the red thread in this track. Why join the Graduate Programme? 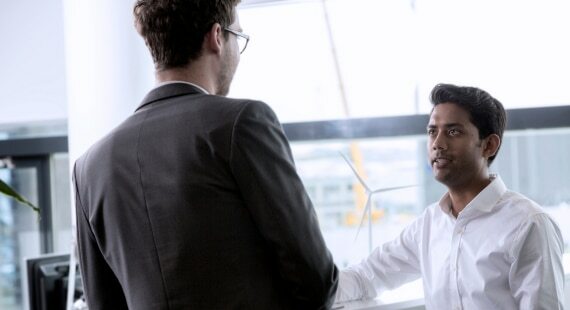 By joining Vestas you will become part of a company that always strives to deliver best-in-class wind energy solutions and set the pace in the industry to the benefit of the customers and our planet. If we continue to do this every day, we will be the undisputed global wind leader. What Graduate Profiles are we looking for? Our Graduate Programme is an important part of our strategy to seek out future business leaders, specialists and project managers. It is a perfect opportunity for gifted individuals who would like to embark on an exciting, global career at Vestas. To ensure that the best candidate is identified, selected and hired, a comprehensive recruitment process will always take place. The graduate recruitment process is always carried out by the graduate manager in collaboration with Human Resources. The Vestas Graduate Programme is now open for applications. We are currently recruiting for 10 different graduate positions on various locations globally. We look forward to receiving your application to the Vestas Graduate Programme.